Can anyone review my writing? Even though globalization affects the world’s economics in a very positive way, its negative side should not be forgotten. 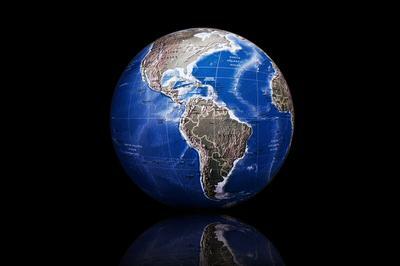 Globalization is a term which is widely used in today's era. This one word not only has influenced our attire, but also our culture. It is undeniable that globalization helps in world's economy but at the same time we have to accept that it has some negative consequences also. Today, many multinational companies have set up their branches in poor countries by doing this they get man power at low price, whereas, people of poor nation get work opportunities in a larger scale. With globalization everything has become much more accessible, one can get the product manufactured at 1000 miles away at a shop, which is just few steps away from their door. We can see people of different counties wearing the same t-shirt, which in turn brings uniformity in them towards each other. Globalization has especially helped in woman empowerment and has given them equal work opportunities anywhere in the globe. Despite of all the goodness, which globalization has brought to us, it has many negative counter parts. People in country like India have started following the trends of western countries without understanding their pros and cons. Where globalization has brought malls and multiplexes it also brought old age home. It also causes the danger of epidemic diseases bird flu is good example of this which was faced by many Asian countries. Brain drain again is a big issue for developing countries like India, a country invest a big sum of money for higher education in few premier institutes but at the time of pay back, pass out, students prefer to work in abroad. Finally, I can conclude that negative impacts of globalization should not be forgotten. Need and requirement varies from place to place and any trend should not be followed blindly be it globalization. "Where globalization has brought malls and multiplexes it also brought old age home". I don't know what this means. Also, this needs a bit more explanation of how it is related to globalisation. "It also causes the danger of epidemic diseases bird flu is good example of this which was faced by many Asian countries". "A country called a developed country if it is facilitating its people good food, health care which is accessible to everyone, and equal work opportunities, in short, a healthy life style". "To define the life cycle of the development of a country similar to food chain, we can replace oxygen by education". "To conclude, I can say that yes education is critical factor at any point of time it should not be ignored". The question says it is the ONLY critical factor. You have not answered this in your conclusion. In your first body paragraph you seem to say it is NOT the only critical factor. The overall length is sufficient to explain the implications introduced in this essay. paraphrasing is perfect and connectivity in them is quite obvious. Language usage reflects variety. 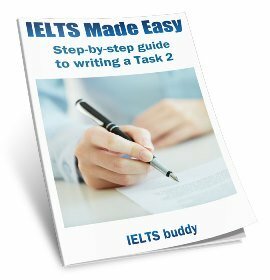 Examples are given in general and specific. 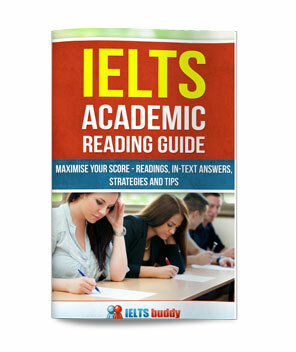 In IELTS it can fetch you band score within a range of 6 and 7. Actually you should avoid phrases such as 'Every coin has two sides' because this is not an academic phrase. Idioms are best left for the speaking test. Also, question tags can often look out of place and need to be used very sparingly and carefully, and are best avoided if you do not know how to fit them in well. 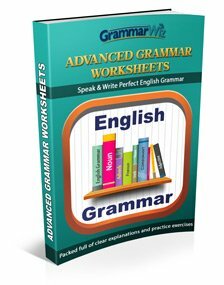 Essays are good but please avoid grammatical errors. Some people think the increasing business and cultural contact between countries brings many positive effects. Others say it causes the loss of national identities. Since time immemorial, different countries collaborate with each other for improving their social, political, and economic situations in the cities. Nobody can deny that such cooperation could lead to negative consequences as well. Whilst, I believe that there are strong arguments on both sides, I would suggest that development of international contacts has impact that is more positive. There are number of reasons why countries have to work together. First, not every country has enough natural and capital resources for effective development. That’s why, trade with each other is an essential part of their everyday operations. Another issue is that the immigration is the factor of utmost importance, which has led to the global surge in economic development. Only professionals can support an appropriate level of bank system working or, for instance, education sector. Turning to other side of argument. Collaboration between countries has also a negative influence. For example, after massive migration people with different values, level of income, and attitude to the national authorities begin to live as neighbors. By everyday communication, they continue to lose their roots, to acquire new habits or even to forget their mother language. All of this could probably be a cause of losing national identities of the citizens or some developing countries could disappear with their unique history and traditions. To conclude, I strong believe that advantages of increasing contacts between countries outweigh the negative influence of this collaboration. It would be impossible for some nations to continue their development in various spheres without such cooperation. That’s why, this part of globalization is efficient and has a positive effect on all countries, as long as it used intelligently. This is my second post to forum. Hope this globalisation essay is better than the 1st one. As a result of globalization, goods have been spread all over the world, make the markets in different regions are all the same. People are deeply divided over the decision whether this consequence is beneficial or not. In my opinion, this is a tremendously extraordinary development for the people around the globe. Firstly, for individual families, there are no longer ingredients or materials that are out of reach. Plenty of type of goods or food can only be produced in specifically places due to the climate, soil condition and many other aspects. For instance, it is well known that pistachio nuts are being exported from minority of number of countries, or Maple Syrup is made only in Canada. It is a substantial achievement of the global trading system that ratify people to enjoy foreign products without travelling thousands of miles to the original countries. Secondly, with the achievement, there are multifarious choices of one product around the world on the shelves for people to decide. A kind of product from different regions can give different experiences to the users. Coffee beans are an excellent example for this statement. While coffee beans in Italy are pure bitter, coffee grown in South East Asia countries usually have an additional sour flavor beside the bitter taste. The difference of the ingredients has lead to manifold version of the production. Western coffee is light, creamy and sweet, whilst famous Vietnamese coffee is dense, strong. Last but not least, for a larger scale ­- national scale, it requires remarkable effort to maintain the supply to fit the demand. The onus is on the scientists to develop advanced technology to elevate the productivity and hasten the goods transportation. The benefits of those technology will soon be applied to normal life. It is promulgated that the Industrial Revolution in the 19th century in Britain was initiated by the demand to transport goods more efficient in quantity and time delivery. It has formed the foundation for the astronomically escalation of civil technology in our modern world. In recapitulation, I advocate of aforementioned statement. The products worldwide have been delivered to our nearby stores within our line of sight, offers us heterogeneous goods as well as experiences. Furthermore, it is a base for the advanced technology repercussion in the future. Are you writing these essays in 40 minutes? You have a lot of words - 381 in this essay. That very long. Most people are advised to aim for around 275. This means you have time to analyse the question, brainstorm ideas, plan and write and check grammar. Of course if someone is a very good writer they may be able to write more than that, but most students struggle to do everything in 40 minutes so need to keep it fairly short and concise. 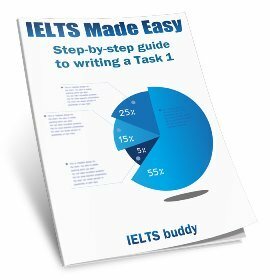 The essay is ok with some good vocabulary and grammar in there, but you do have some noticeable grammar errors - so you are better to write less and focus on improving that aspect. Also I don't really see what relevance body paragraph 3 has to the question, and I am not sure what the topic / argument is. That suggests a lack of planning. Agree. I've read your 2 essays, and the 2nd one was not as impressive as the first. However, examples here are better. One thing, why do you have to write the 4th paragraph? That's a waste of time. Making your other 2 more impressive is a better choice. I hope you will get the score you want. Good luck.